The other day I wrote about the importance of simplifying your life. One area of our lives that can definitely use a little simplification is the housework! I was listening to a discussion the other day, and a lot of people said that laundry was the household task that gave them the most trouble. 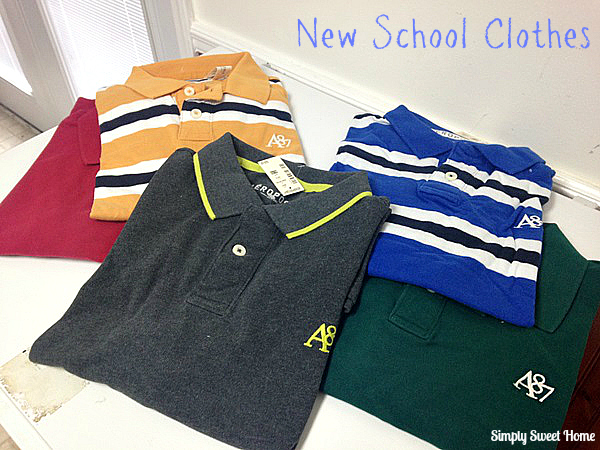 For me, it’s always been fairly easy, because I have everything well organized. (Although to be quite honest, things have been getting piled up for me sometimes lately, so I’m making a little tweaks to the system!) Today I’m going to highlight the latest laundry product I’ve been using, and I’ll share with you my number one laundry tip. For the last few weeks I’ve been washing our clothes with Tide Ultra Stain Release. Tide was always the detergent my mom used most, so it’s definitely a trusted brand for me. 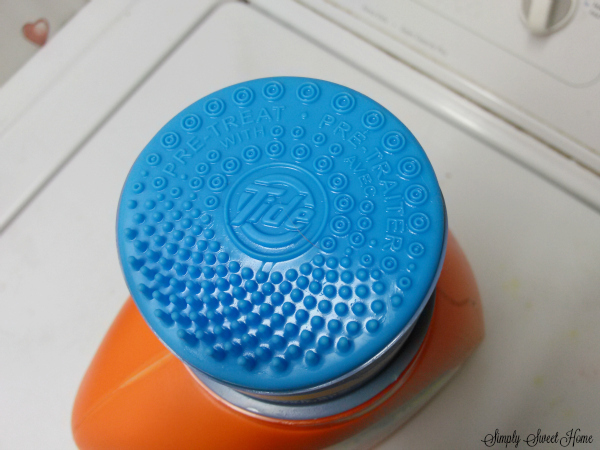 One great thing about this bottle of Tide is that the lid can assist you with pretreating. Just pour a little detergent on your stain, and rub it in a little bit, using the scrubbers on the top. Another reason that I wanted to try this product is because it was said to be especially effective on grease and oil stains. Pretreat the fresh stain as soon as possible with a liquid detergent like Tide Ultra Stain Release. Allow detergent to soak into stain and then rinse with warmest water possible while following the care label instructions. Repeat until stain is removed and then wash in warmest water with Tide Ultra Stain Release to remove any residues. Insider’s tip: Do not machine dry until stain is completely removed as that may “set” the stain. Now for my number one laundry tip! It’s very simple! If you want to take the stress out of doing the laundry, you have to have a system in place. You could also call this a plan or a process. I’ve always washed Noah’s clothes on the weekend, and for the most part, I’ve washed the rest of our clothes on an “as needed” bases, but now I’m tweaking that system. I’ll still be washing the majority of Noah’s clothes on the weekend, but I’m also trying the “one load a day” system. I heard that if you do at least one load of laundry a day, you’ll never be behind, so I’m trying it, and I’ll let you know later if it’s working for me. Other people do all of their laundry in one day or over the course of the weekend. Laundry is not a one size fits all chore. If it’s something that you struggle with, then you just need to change what your doing. But you need some type of system in place, and once your system is in place, you need to be consistent and stay on task. So if you hate laundry, or if you feel like you’re constantly surrounded by piles of clothes, then I challenge you to try something new! Come up with a new system and try it for a couple of weeks. If that doesn’t work, then move on to another system and try it. And sooner or later you will find a plan and a process that works for you! Disclosure: I received Tide samples to facilitate this post. The opinions are my own. Tide is one of the best laundry detergents. Thank you for the tips. I am definitely looking for this Tide, love the lid, what a simple, clever idea. We love Tide in this house! I have never noticed the pre-treating lid with scrubbers! I am going to have to check that out! Oh I have to try the Tide! I love the scrubber on top! What a genius idea! I always try to rub the stain..that scrubber would be so helpful! I have a hard time with stains…I have to try that! 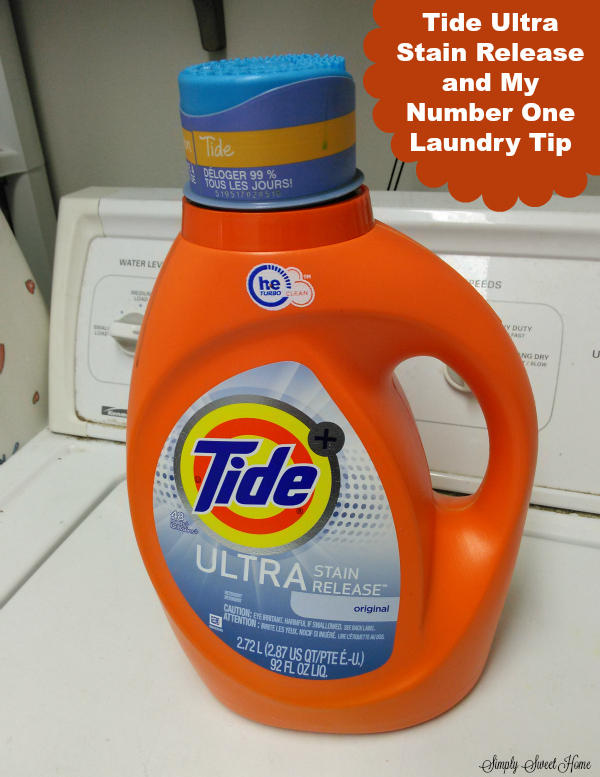 I have been using Tide for years now, it’s my favorite detergent and works well getting stains out and keeps the clothes smelling fresh. I like the scrubber option as well, I wish more brands would add this to the packaging because it makes it easier to work on the stains that way.